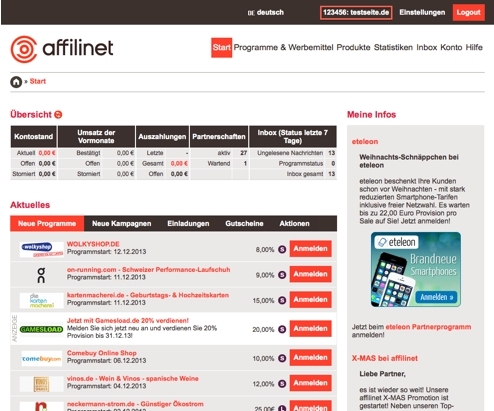 Affili.net is one of the largest German networks. There you can find many program suppliers with different product ranges, that activate quite rapidly. After the redesign of the user interface in 2013 it is easy to navigate. 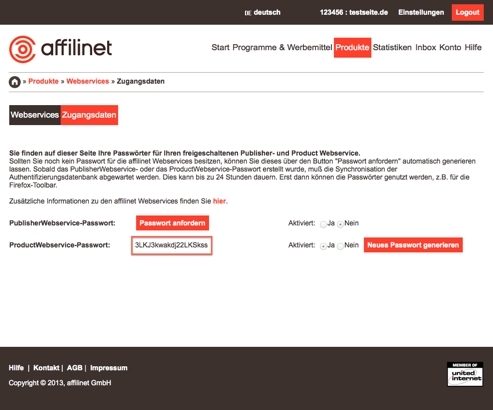 The publisher ID can be found in the dashboard on the left side next to your domain.